Although I have always admired Michael Schumacher for his driving capability, I never have been fond of his behavior both on and off the track. Nevertheless I have to admit I am kind of looking forward to his return to Formula One. Formula One should be fun again and probably thanks to Schumacher the sport should regain some of its lost popularity again. Michael Schumacher is a phenomenon and star. 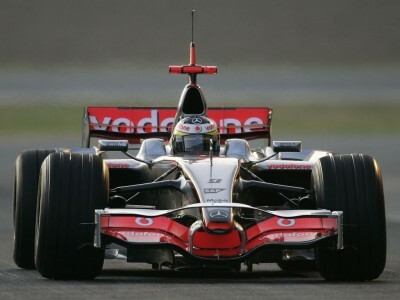 He has been Formula One’s most successful driver, winning 91 Grand Prix and 7 World Championships. Who cannot remember his famous battles with other stars such as Ayrton Senna, Damon Hill, Jacques Villeneuve and Mika Hakkinen. Nevertheless the guy is controversial; one can clearly remember how he tried to eliminate Jacques Villeneuve in order to try to become champion or how he parked his car during qualifying in Monaco in order to prevent Fisichella and Alonso taking pole position. He also is known to politically eliminate his teammates, by taking care that they did not get the same material. In any case Michael’s sporting behavior seems not to be one of his core values. That’s probably, why he has done so well in Formula One, which is not always an example of integrity either. In his absence Formula One has gone through tough times. 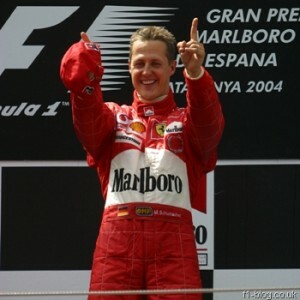 Firstly the sport lost some of its popularity given the lack of charismatic stars such as Schumacher. One can barely say that Kimmi Raikkonen is interesting to watch or listen to (besides when he is in the car of course), whereas Hamilton is too polished to be really colorful (the ideal son in law, where did we see this before?). At least Schumacher has always been authentic, not always likeable but authentic. That’s why many people like him and why he is important to Formula One. Secondly the sport did face a financial and economic crisis. Several car manufacturers like BMW, Honda and Toyota withdrew from the sport, whereas Bridgestone will quit after the upcoming season. Instead new less appealing (at least no real brand names as of yet) teams such as Campos Meta 1, Team US F1, Virgin Racing and Lotus F1 Racing will appear on the grid. Adding to the difficulties, sponsors are less inclined to enter Formula One. Concluding, given the decline in popularity and the aftermath of the financial crisis, Formula One is in dire need of charismatic stars and hence the return of Schumacher should be seen as a blessing. Watching Formula One should be fun again and I am certainly looking forward to it. Whether you hate or love the guy, Schumacher brings spice again. It’s a bit like the old Michel Vaillant strips where the good guy (Michel Vaillant) is fighting the bad guy. Formula One should embrace the return of Schumacher, he might even turn into the good guy!